North Shore Billet was founded in 2003 and still operates from its original base in Whistler from where it produces a range of CNC’d bike parts from aerospace grade aluminium. 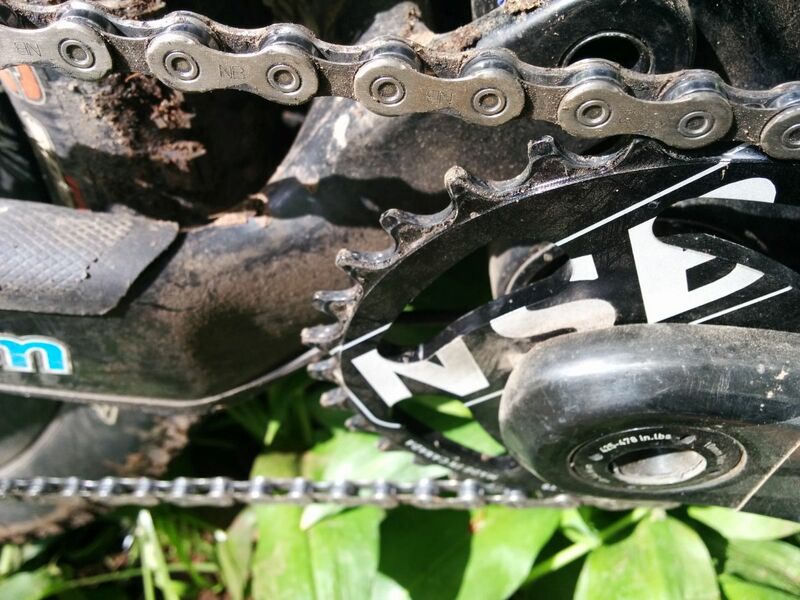 The main stay of NSB’s range of shiny loveliness is the thick-thin chainring which is available in both direct and spider-mounted guises for a number of different cranks. 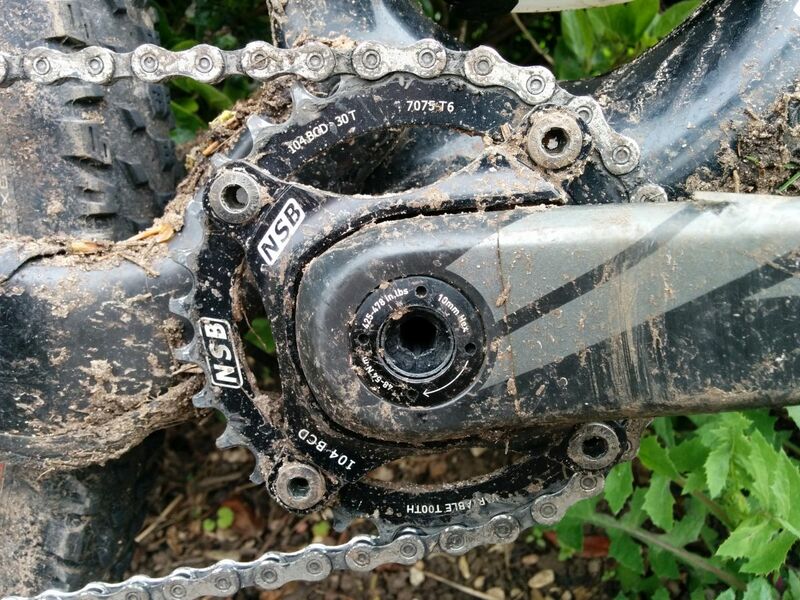 I had a SRAM compatible replaceable 1×10 spider, SRAM direct mount 32T chainring and the 30T 104 BCD chainring on test. The rings and spider certainly look the part with an air of über machined class. Given their heritage, I assume they’ve been sprinkled with a little Canadian gnar to give them extra awesomeness. North Shore Billet produces various SRAM spiders: 1×11, 1×10, 2×10 for 104 BCD and a boost compatible 1×10 94 BCD; a range that should suit myriad chain lines for all your gearing upgrade needs. 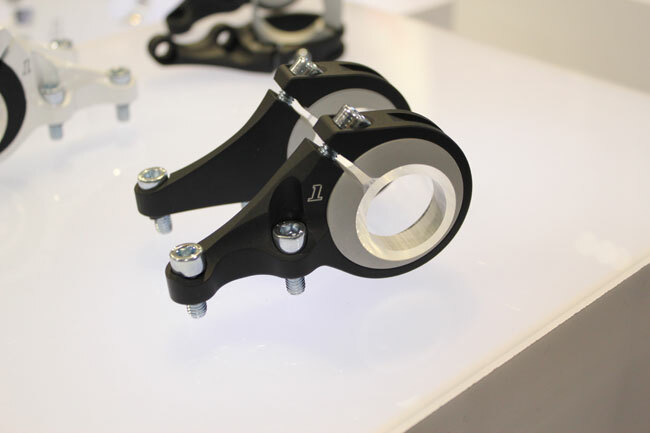 SRAM uses three small bolts on the inside of the crank arm to attach the spider to the cranks so it’s easy enough to set up. Coupled with the 104 BCD ring, the spider worked perfectly, this was even despite using the 1×10 version with a 1×11 set up so theoretically the chainline was a few millimetres out. 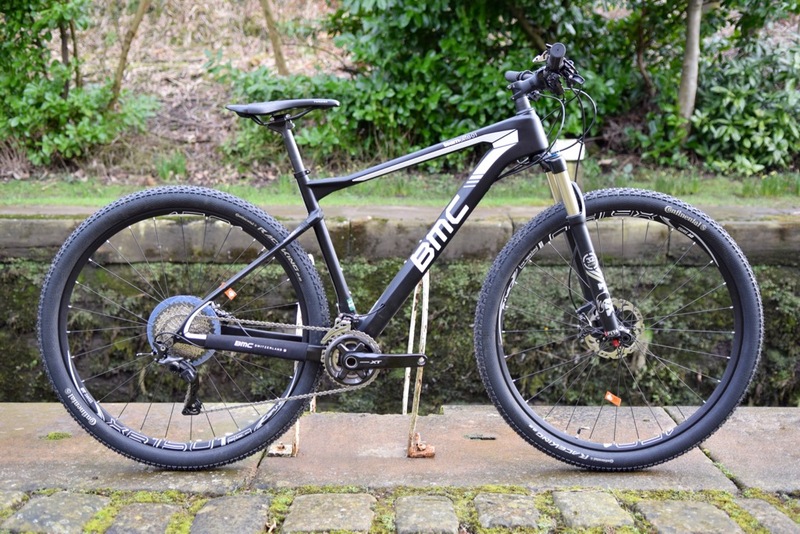 At 66g the spider is an equivalent weight to the 70g SRAM version it replaced. 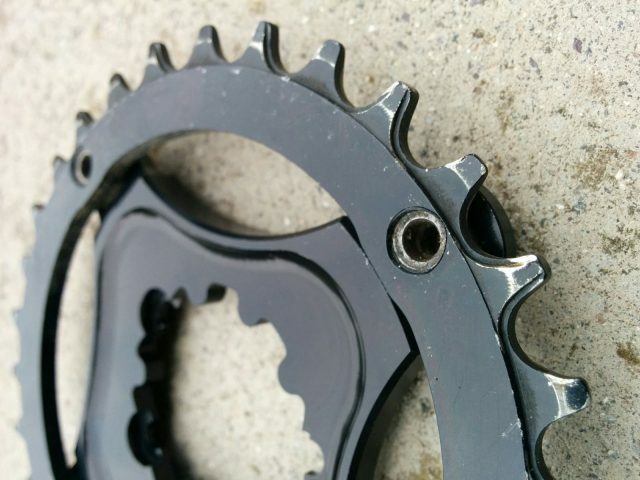 An attraction of the 104 BCD chainring is its pre-threaded bolt holes. This made for really easy fitting and removal as it only required the front part of the bolt. This feature is a big plus for me; on more than one occasion I’ve fought with seized bolts and that fiddly slotted bolt tool. 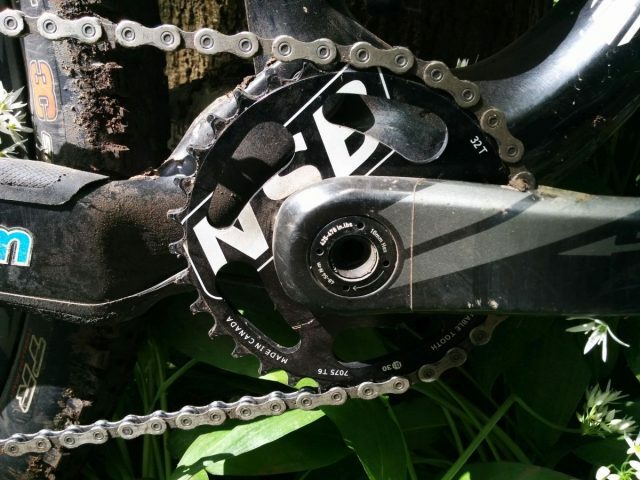 I’ve run this chainring on a couple of bikes using different set ups: firstly with the NCD spider on SRAM X0 cranks with a XTR clutch mech and 42T cassette, and also on XT cranks with an SLX clutch mech and 36T cassette. On both bikes the chainring has got on with its job without fault. 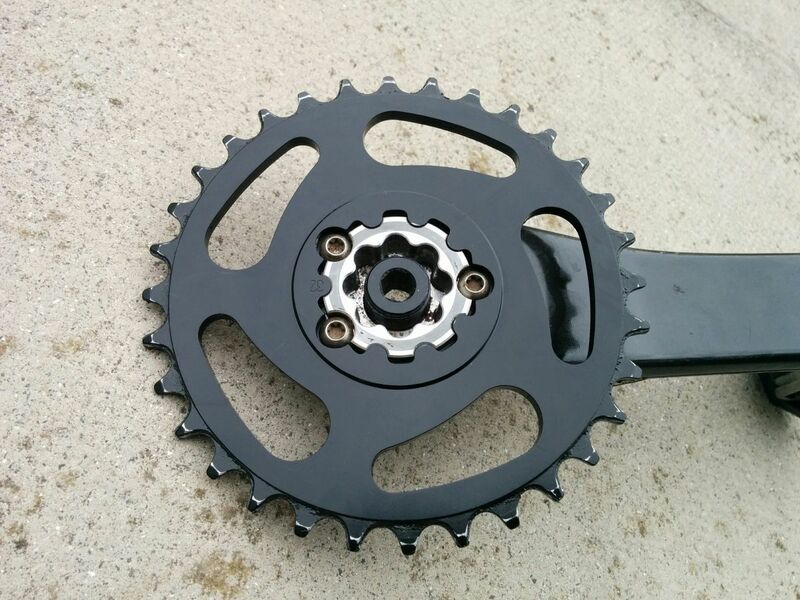 The 30T ring weighs in at 52g, which makes the ring and spider combination 118g (not including chainring bolts). The direct mount ring is a solid looking thing with the body of the ring a thick plate with oval cut outs rather than the usual spoked look. Despite its appearance, at 104g it’s not overly heavy and in fact lighter than the spider/ring combo. Plus it is a cinch to clean off after a ride. I’ve run both rings on a variety of trails including Glentress, Dyfi, Long Mynd and the Dark Peak. Regardless of the ring and spider/crank/mech combination the shifting has been perfect and I haven’t dropped my chain once, even on occasions when I’ve left the clutch off. It’s difficult to test wear over a relatively short period of time but there are no early signs of excessive wear on either ring despite many gritty and wet rides. I’ve been really happy with how the rings and spider have run and won’t be swapping back to the rings they replaced. 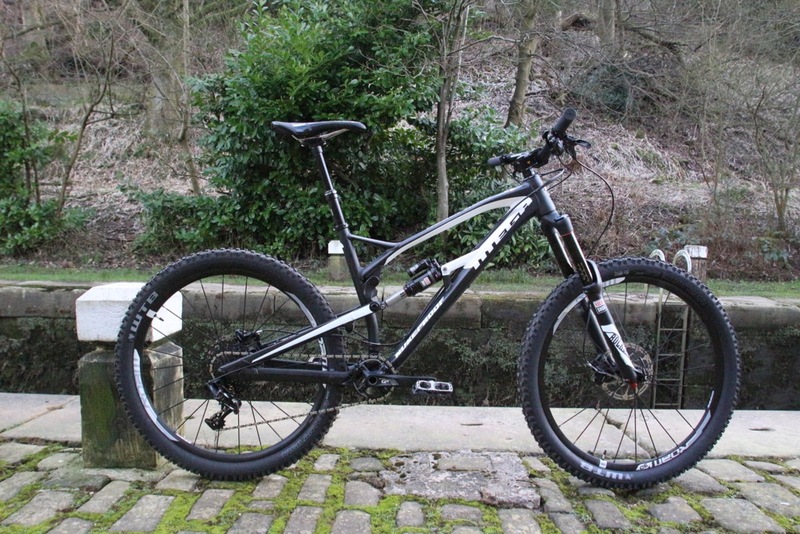 Both the direct and 104 BCD versions come in about £10 cheaper than their Race Face equivalents which make them a good value option in comparison. Overall: Good looking and great performing chainrings and spider which should cater for most crank and gearing combinations. 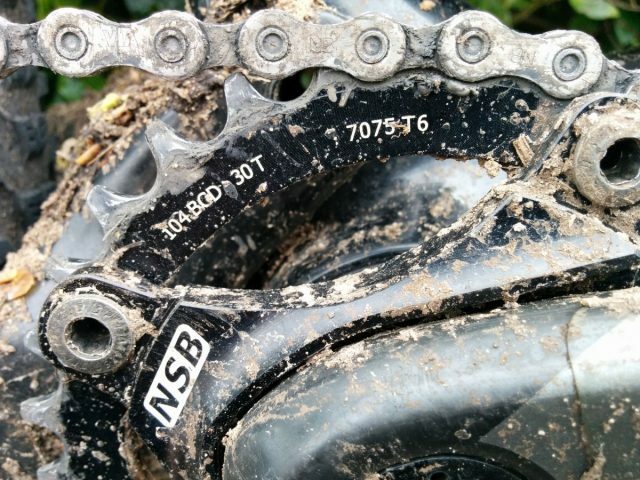 I use a NSB 28t (yes really) ring for XT M8000 cranks. I don’t know any other manufacturer that makes a ring smaller than 30t for these cranks. It’s worked flawlessly and is less expensive than the competition. Recommended!